Statisticians A Lennart Julin and Mirko Jalava look back on the best road-running performances of the year. For the eighth time in the past 10 years, the world list is topped by the winning performance from the Berlin Marathon. And for the seventh year in a row, the top performer is from Kenya. 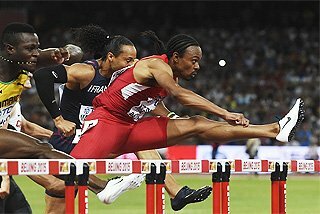 The most remarkable thing this year probably was that the world record was not improved by the Berlin winner, as it had been in 2011, 2013 and 2014. But it might simply be that the winner, Eliud Kipchoge, is more of a racer than a record-chaser. He also won the most competitive marathon of the year – London – in a time marginally slower than his 2:04:00 Berlin performance after being involved in an intense fight for the win with former world record-holder Wilson Kipsang, who finished five seconds behind. 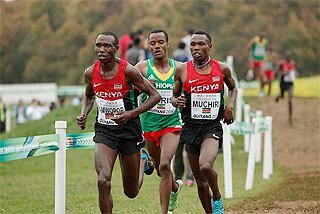 Kipsang and current record-holder Dennis Kimetto, who finished third in London, were selected for the World Championships in late August and Kenya certainly expected success from the top two of all time. But despite a slow start to the race, both dropped out prematurely, blaming the humid conditions. East African runners still dominated the decisive part of the Beijing race with teenager Ghirmay Ghebreselassie finishing strongest, taking the first ever Eritrean gold at the World Championships. The remaining two podium places went to Ethiopia (Yemane Tsegay) and Uganda (Solomon Mutai). In recent years, top races such as New York and Chicago have stopped using pacemakers, which have made their race patterns noticeably more cautious. A good illustration was provided by New York winner Stanley Biwott whose first three 10km splits of 31:32-31:44 were followed by a fourth of 29:09. While Kenya and Ethiopia respectively own about 60% and 30% of the top marathon performances in 2015, the Kenyan bias in the half marathon is even stronger at about 80%. 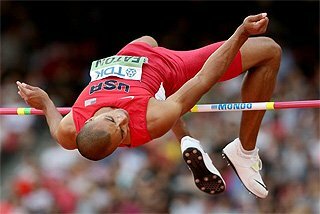 It could soon challenge the steeplechase as their national event. The half marathon is one of the most dynamic events of this century so far. During the first six years of the new millennium there was, on average, one runner per year dipping under the one-hour barrier. Since then it has exploded and in the past two years the number of sub-60 runners has reached the thirties. Despite this revolutionary rise in overall standards, Zersenay Tadese’s 58:23 world record has remained intact since 2010. But that may soon change if world half-marathon champion Geoffrey Kamworor focuses on the 13.1-mile event. The 23-year-old Kenyan did not contest a half marathon this year. Instead, compatriot Abraham Cheroben ended the year as world leader following his winning performance in Valencia, just as he had done in 2014. Cheroben’s one loss at the distance in 2015 came in Berlin where debutant Birhanu Legese won in 59:45. After being beaten in Luanda and Copenhagen, Legese ended the year on a high when winning in New Delhi with a PB of 59:20 in what was the most competitive half marathon of the year. While the world-leading time for the 10,000m on the track is consistently sub-27, there has been only one road time ever of that calibre – Leonard Komon’s world record of 26:44 set in 2010. Actually in the past four years the top 10km road time has hovered about 27:30, possibly because the road 10km is mainly contested by full-time road specialists who focus on considerably longer distances such as the half or full marathon. This theory is supported by the fact that the 2015 world lists for the 10,000m and the 10km have no names in common at the top level. 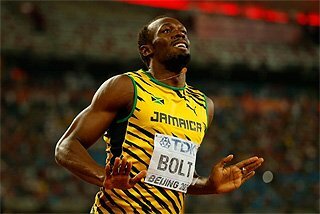 None of the top 10 on the track have run a quality road 10km and vice versa. 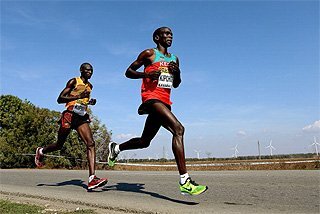 Just like Cheroben in the half marathon, Kenya’s Stephen Sambu retained his position as world leader for a second year. His 27:30 victory in Manchester put him five seconds ahead of Cheroben on the world list. The world list was also more globally represented at the top. In 2014, Kenya filled the top 20 places. This year, five different nations were represented in the top 10. 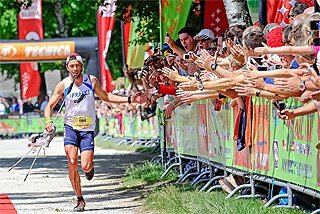 The main event among the ultra-distances in 2015 was the IAU World 100k Championships. This year there was a run-away win for previous four-time runner-up Jonas Buud of Sweden. Just three days into 2015, Mare Dibaba started her season with a world-leading 2:19:52 in Xiamen, equalling her 2012 personal best from Dubai. 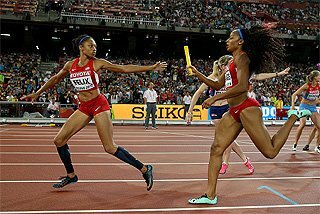 The 26-year-old Ethiopian, who finished 22nd at the London 2012 Olympics, then finished a close second in Boston in April before capping her season with a win at her first World Championships in Beijing, clocking 2:27:35. Dibaba was almost perfect in her three races of the season. Her world lead lasted almost nine months before Kenya’s Gladys Cherono won the Berlin Marathon in a PB of 2:19:25 to end the year as the world leader. 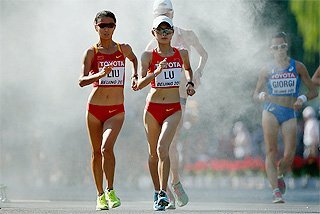 World half marathon Cherono had not contested a full marathon before this year, but her victory in Berlin followed a 2:20:03 second-place finish in Dubai earlier in 2015. Fellow Kenyan Helah Kiprop, whose PB is just 2:24:03, was a surprise silver medallist in Beijing in 2:27:36. 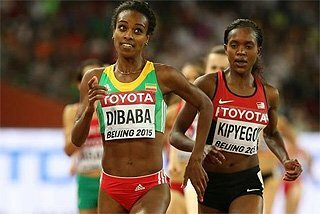 The 30-year-old challenged Dibaba for the win in the final straight, just falling short of the victory. 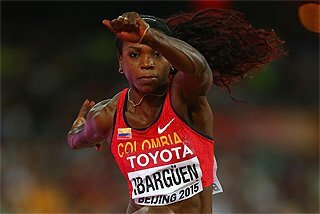 The third athlete to enter the stadium together with the first two was Bahrain’s Eunice Jepkirui. The 31-year-old seemed happy with the bronze, finishing in 2:27:39. 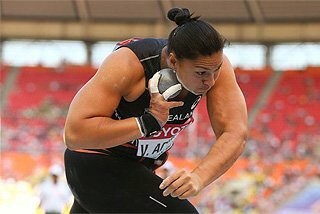 She had set a 2:22:08 national record earlier in the year when winning in Nagoya. Ethiopia’s Aselefech Mergia was the third-fastest woman in 2015, winning in Dubai in January in 2:20:02, 31 seconds slower than her winning time in the same location in 2012. 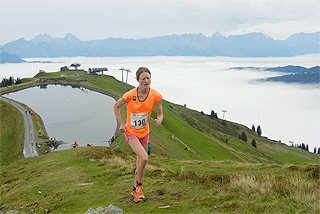 Countrywoman Shure Demise set an unofficial world junior best with a fourth-place finish in the same race, clocking 2:20:59. The women’s half marathon season started with a blast in February. Mary Keitany, the 2009 world champion over this distance, ran a world-leading 1:06:02 to win in Ras Al Khaimah. Just two days later, fellow Kenyan Florence Kiplagat repeated her feat from 12 months prior when winning in Barcelona with a world record. Her time of 1:05:09 took three seconds from her own mark. Kiplagat also set 20km (1:01:54) and 15km (46:14) world records within the race. While Kiplagat’s season only included this one fast race, Keitany on the other hand was the best runner in this event looking at the whole season. She followed her early victory with a 1:06:38 win in Olomouc in June and she also won the Great North Run in September, clocking 1:07:32. Her last defeat at the distance dates back to 2007. Other notable runners over the half marathon distance were Ethiopia’s Mamitu Daska, who was second in Ras Al Khaimah in a 1:06:27 personal best and later won the All African Games in Brazzaville, and Kenya’s Gladys Cherono, who won in Istanbul in a PB of 1:06:38. Kenya’s Gladys Chesire was the fastest runner over 10km with her world-leading 30:41 in October. The 22-year-old opened her season with a 32:12 third-place finish in Bangalore in May and went on to take the silver medal in the 10,000m at the All African Games in Brazzaville in September. A new name emerged at the top of the women’s road racing in 2015. 22-year-old Kenyan Peris Jepchirchir ran a world-leading 30:55 in Prague in September, ending the year as the second-best performance of 2015. Her best times prior to this season were 31:34 for 10km and 1:09:12 for the half marathon. She also lowered her best to 1:07:17 in that event in 2015. Gladys Cherono was at the top of this event too, having run an early world lead of 30:56 in Ottawa in May. Ethiopian Genet Ayalew, the 3000m bronze medallist at the 2009 World Youth Championships, dropped almost a minute off her previous best, clocking 30:58 for the win in Tilburg in September. Also a world youth 3000m bronze medallist but 10 years earlier in 1999, Malika Asahssah ran a personal best over 10km. The 33-year-old won in Laredo in March in 31:00, having clocked 31:30 just two weeks prior to that race in Taroudant.